Black Friday, the day after Thanksgiving, usually starts my Christmas shopping. I always envy those smart people who shop early and are finished shopping months in advance. I am not one of them, though! I do a lot of shopping online, especially at eBay, Etsy, and Amazon. I value gifts that are unique and special. If you're doing some vintage Black Friday shopping, I hope you'll stop by my store: Birdhouse Books on eBay. I'm running a 25% off sale through midnight on Cyber Monday, December 1. I love, love, love vintage Christmas items. You'll find hundreds of beautiful vintage Christmas cards in my shop. These are great to frame, and also make sweet small gifts, tucked into a greeting card with a personal note from you. Just click here if you'd like to browse: vintage Christmas cards at Birdhouse Books. Ornaments! I have a few unique ornaments, like this Georgia ornament, in my store. I have MANY more ornaments to list the next couple of weeks, so please keep checking my ornament department. Vintage children's books are the very heart of my store. If you're looking for a special gift for a child, please pop by: vintage children's books at Birdhouse Books. 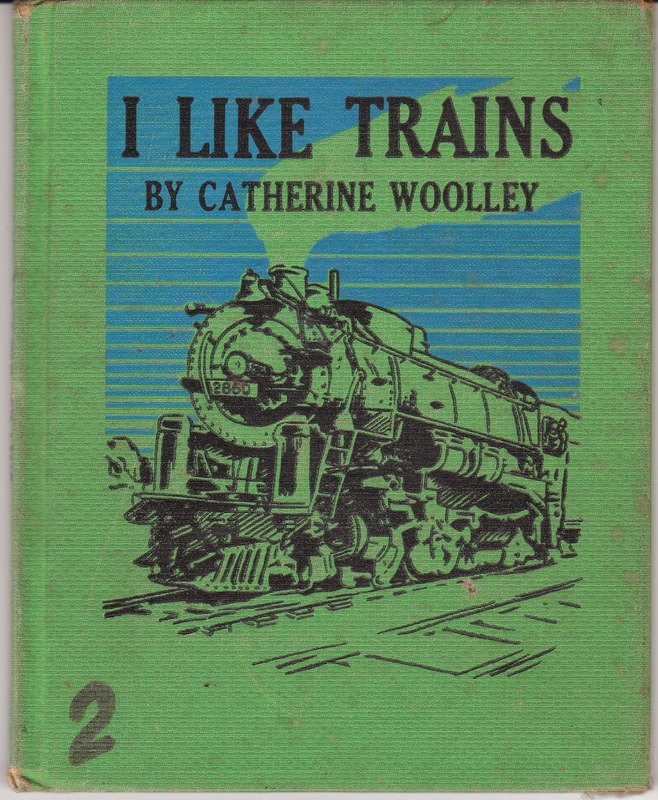 I love finds like I Like Trains by Catherine Woolley, pictured here. There's a lot more - vintage sewing, crafts and needlework kits, vintage cookbooks. I hope you'll stop by if you're in the mood to shop from the comfort of home: Birdhouse Books on eBay. Very nice blog Trish. And I adore all your vintage items especially the Ornaments I wish I had the discipline to write blogs like you do.. Very nice blog as usual Trish I wish I had your discipline to do a regular blog post :-) I Love all your vintage items and your different cards are the absolute cutest. I always love reading your posts and seeing all your great vintage items. Anything vintage is always my favorite. I also enjoy reading your regular posts. Love nostalgia! Your store is a baby boomers dream. Thanks, y'all! I appreciate the visits and kind comments.